Don't diminish who you were created to be. Shine on. Earlier in the year, I joined a group led by Nikki Elledge Brown, the Communication Stylist, and in it she talked about adopting a word for the year. This one word will guide you, transform you, challenge you and inspire you. I chose short phrases because this was where I was at the time. My two phrases were Use me and Let go. I decided that I wanted God to use me to help build His kingdom on Earth and at the same time I knew I needed to let go of anything or anyone that no longer served my purpose in life. There’s a song I like and sit goes a little something like this… “Lord, whatever you’re doing in this season please don’t do it without me”. And this was indeed what I wanted. I wanted God to use my pain for purpose and He answered through my blog. I wanted to be transformed into the woman that He created me to be and letting go of things that were out of line with His will for my life is what I had to do. I wanted to be someone He could trust to lead others to Him and to get others to believe the impossible through Him. This didn’t come without struggle, but when problems arose, I always remembered the phrases I’d chosen to guide my year. 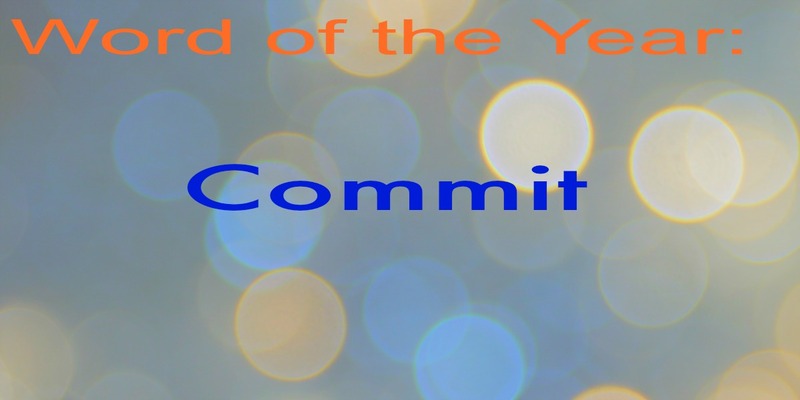 This year my word is commit. I am committed to my purpose, my goals, and my God. I am committed to forming good habits and building great relationships. I am committed to moving forward, and becoming the best version of me: mind, body and spirit. I am so excited about year 2 of my blog and I have something great in store for 2015. I am so grateful that God is using me. So, what is your word of the year? I’d love to hear from you.